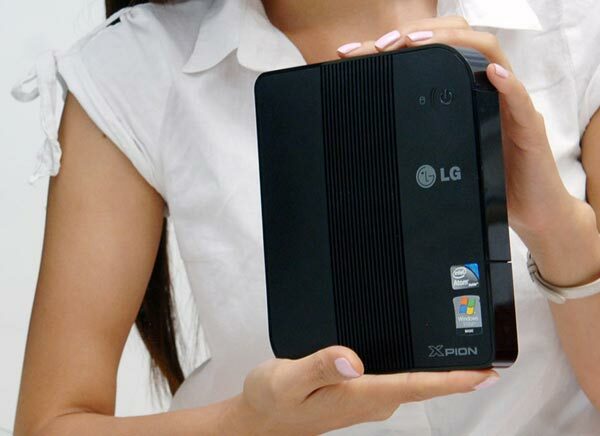 LG has launched a new nettop PC, which features NVIDIA’s ION graphics, the LG XPION X30 Nettop. The LG XPION X30 Nettop is powered by an Intel Atom 230 1.6GHz processor, and features NVIDIA’s ION GPU, on top of that there is 2GB of RAM and a 250GB hard drive. The LG XPION X30 Nettop is VESA-mountable so you can hide it on the back of your monitor, other specifications include six USB 2.0 ports, those are the only details available so far. We suspect it will come with built in WiFI, plus a HDMI connection, we do know that it will be available with Windows Vista, unfortunately there is no word on pricing or availability as yet.